In the world of home automation, it seems like you can pretty much get anything now. 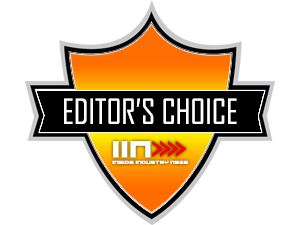 I personally have reviewed automated cameras, door locks, lights, and thermostats – but there is so much more out there. We are really starting to approach the level of tech in our homes that we use to see on TV shows or even cartoons like the Jetsons. Houses where everything can be handled and managed by the push of a button are here, and because of the serious influx of new products, they won’t only be for those with unlimited bank accounts. 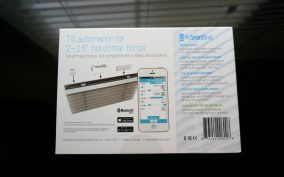 The next product on my list of automated things in my house – window blind automation from MySmartBlinds. When thinking about something high tech in your house, blinds are probably the last thing on your mind, but these could certainly be going in the right direction to change that. The most exciting part of this solution is that you don’t have to run out are replace all your blinks as this works great with existing 2” window blinds. In my case I had Better Homes and Gardens 2″ Faux Wood Blinds, White. The kit will work with any 2″ slatted blinds made of aluminum, wood, composite or fabric. Not having to hire a contractor or spend hours figuring out how to set it up also comes into play with putting them up. Now I know that installing blinds usually is not any kind of major construction, but these are so easy to put up that you don’t really need any tools. 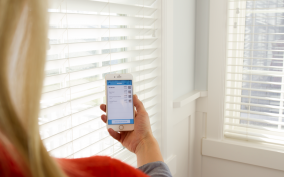 With a few easy steps you turn your boring lifeless blinds into smart blinds– nothing to mess with. Now the thought of having to charge yet another device, fills me with dread. You do need to remember to charge the batteries every once in a while – although the built in battery on a full charge can last several months and is easily rechargeable thru a USB port it is a bit on an inconvenience. 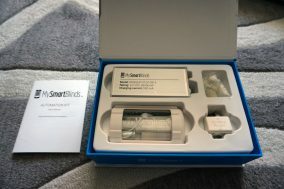 MySmartBlinds says that with normal use the batteries will last for 6 – 12 months before needing to be re charged and having used them for over a month with minimal power drain I believe them. 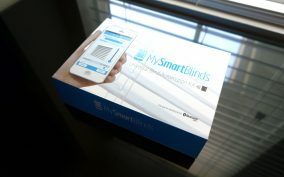 The other great option offered by MySmartBlinds is a $45 USD Solar Panel upgrade which will make the solution maintenance free. 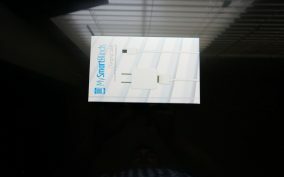 Giving you piece of mind that you wont have to run and recharge them. 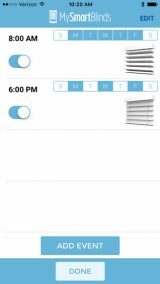 In my case this is very important as I have configured these blinds to open and close at different angles at different times thru out the day increasing the drain which I will talk more about later. Set them to open based on location for Sunrise and sunset. Offers Sun Tracking allowing the blinds to slowly open and close as the sun passes. 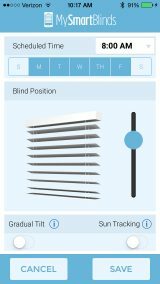 In the end not only does this make your life easier when it comes to opening and closing those hard to reach blinds but in my case, it saves me a significant amount of power as in the last month I have found myself using the living room lights much less. I know it sounds like a sales gimmick but before I had this I would rather turn on a light than open up the blinds. 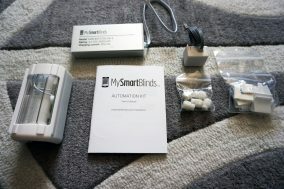 In the past I had looked into solutions like Lutrons Serena Shades costing up words of $500 a window and with MySmartBlinds I was able to cut that down to only $145 ($99 MySmartBlinds Kit, and $45 Better Homes and Gardens 2″ Faux Wood Blinds, White) a window. The Bottom Line: The MySmartBlinds kit is a great way to bring your house into the future for a moderate expense – if you have a complex window arrangement though, this is the best solution for you. As it is the best managed solution I have found by far. 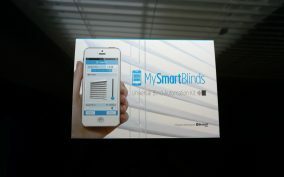 This is why the MySmartBlinds kit has earned our InsideIndustryNews.com Editor’s Choice Award. 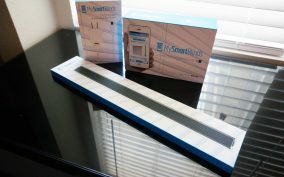 Can be installed into all major brand 2” window blinds making it easier to choose a design that meets your lifestyle. 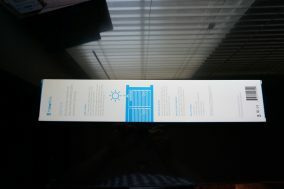 Solar Panel Option, allowing you to not worry about anything after installation. 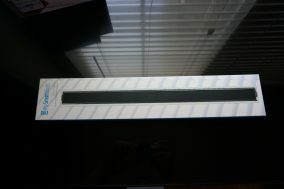 The app; many automated windows only use switches or controllers to manage each blind which makes it difficult to properly manage each blind this simple app does more than just open and close each blind. It makes them all work together and a scheduled controlled by your liking. 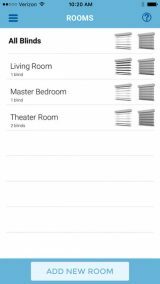 Would like to see ZWAVE or Zigbee integration so it can work together with Home Automation systems like Smartthings, Insteon, Control5, etc.